A Faster, Simpler Way to Shed Weight and Feel Great -- Starting Today! Atkins simplified—a faster, easier, and more effective plan for healthy, low-carb eating that helps you to start losing weight immediately (and keep it off forever). -Success stories from people just like you, who have used the new Atkins Diet to lose weight and keep it off! The new Atkins is more effective than ever, it’s backed by decades of scientific research, and it’s sustainable for a lifetime. If you’re done with diets that leave you hungry and are looking for a healthy, delicious way of eating that leads to enhanced health, The New Atkins Made Easy is the program for you. Turn to the Week 1 shopping list on page 66, pick up some tasty foods at the grocery store, and start losing weight—today. Many books have been written about the Atkins Diet. And no wonder! The world’s most famous diet is famously effective. Year after year, millions of people achieve dramatic results. In more than 110 papers published in peer-reviewed journals, eating the Atkins way has been scientifically proven to produce both sustained weight loss and robust health improvements. No other weight-loss program comes close to this number. Last, but far from least, the Atkins Diet is delicious and nutritious. We’re proud of this record of accomplishment, but as part of our ongoing objective to help people lose weight and keep it off, we’re always working to enhance the Atkins experience. That’s why we regularly ask Atkins followers for input on how to improve the program. As part of that research, we also speak to would-be dieters about why they haven’t tried Atkins yet and what would make them consider doing so. What have we learned? Some people tell us that the program seems complicated, that they’re too busy to cook, or that low-carb cooking seems to require lots of different ingredients. Some aren’t sure what Net Carbs are or how to count them. Others don’t understand the need for four phases and/or how to move from one to the next. Finally, there’s the misconception that Atkins is about eating no carbs, which would be hard to sustain and hardly healthy. Ouch! In part, this confusion exists because the experience of doing Atkins is fundamentally different from that of other weight-loss diets. Nonetheless, we also clearly need to do a better job of communicating what Atkins is, why it works, and which foods you do and don’t eat. People want a stripped-down approach that tells them how to do Atkins simply and easily without having to expend a lot of energy thinking about it. The hectic pace of contemporary life, compounded by the need to juggle work and family responsibilities, means most people have less time than ever to plan meals, shop, cook, and track their food intake. Therein lies the purpose (and the heart) of The New Atkins Made Easy: to make the program easier than ever before, both to understand and to follow. And that begins with how to get started—today. Getting meals on the table faster and easier is central to this objective. You should be able to pick up this book, head right out to the grocery store for a few quick supplies, and start your transformation the same day. No muss, no fuss—just rapid results. The Atkins line of low-carb foods, including frozen meals as well as bars and shakes, also makes it easier than ever to do Atkins. • You eat a bit more protein—think chicken, fish, shellfish, pork, beef, and tofu; more olive oil, butter, avocado, and other delectable fats that give food flavor; and lots of leafy greens and other vegetables. • You initially hold off on higher-carb vegetables, as well as fruit and whole grains. • You omit starchy, sugary carbohydrate foods low in nutrients, such as bagels and sweetened breakfast cereals. With these few simple changes your body burns its own fat for energy, while suppressing your appetite and eliminating cravings. The result? You lose the fat on your tummy, tush, hips, and elsewhere, all without undue hunger. The power of Atkins is based on this remarkable but simple process that shifts your body from burning primarily carbohydrates for energy to burning primarily fat. In Chapter 1, we’ll explore how you can quickly and easily make your metabolism work with you rather than resist you at every turn. Another way in which we’ve made Atkins easier is by enabling you to customize it to your needs and the responses of your body. For example, you may prefer to lose most of your weight in the first phase of the program. Or you may choose instead to move quickly through the first phase, begin to introduce greater food variety, and lose most of your weight in the second phase. The trade-off may be slightly slower weight loss. Decide which one works better for you, and then follow the road map for that path. Whether you opt for the Fast Track or the Slow and Steady approach, you’ll find all the details you need to succeed in the following chapters. With these added features, you’ll find it easy to achieve your weight-loss goal. How can I be so sure? Because I’ve seen it work for thousands of people just like you. I know that every weight-loss program makes such promises. But in this case the evidence is undeniable. You could lose up to 15 pounds in the first two weeks. (Obviously, results vary based on your body type, lifestyle, and other factors.) Yes, that’s right, about a pound a day! It’s a simple, delectable way of eating you can follow not just for a few weeks, but also for the rest of your life. • You’ll see results quickly. After just a few days, your clothes will begin to fit better. Talk about motivation! • You’re never hungry. Even as you cut down on carbohydrates (or carbs, as we usually refer to them), you eat every few hours. Three meals and two snacks a day mean no torturous between-meal tummy rumbling and no uncontrollable appetite at the next meal. • The food is delicious. The quality and variety of food on Atkins is truly unparalleled. There’s no way you’ll stay with any dietary plan—no matter what the promised benefits—for more than a few weeks if the food is tasteless and you’re restricted to minuscule portions. Where else can you have a cheese omelet with a side of salsa for breakfast, a chef salad topped with grilled chicken and blue cheese dressing for lunch, and broiled salmon with creamed spinach and sliced tomatoes for dinner? And then there are two yummy snacks, perhaps half an avocado in the morning and a chocolate shake midafternoon. Believe it or not, even with all this food you’ll still lose weight! • You don’t have to exercise to lose weight. Though it’s a good idea for other reasons, you don’t have to engage in physical activity to get the benefits of the Atkins Diet. • Fat is not forbidden. Eliminate empty carbs, and there’s no problem eating healthful fats such as olive oil, avocados, high-oleic safflower oil, and flaxseed oil. Amazing but true: the fat you eat actually helps you burn the fat on your body. • It’s affordable. Poultry, eggs, burgers, and other inexpensive items are perfectly acceptable sources of protein. If you wish, confine your protein choices to fish or even vegetable sources of protein. The Atkins program is incredibly flexible. • You’ll still eat plenty of veggies. While you’ll ditch starchy and sugary processed foods, Atkins is not and never has been about no carbs. Atkins recommends a minimum of six servings of vegetables a day (and, depending on which veggies you choose, you might actually get up to twelve servings). This exceeds the U.S. Department of Agriculture (USDA) dietary guidelines. Those veggies will also give you lots of health-promoting fiber, antioxidants, and more. 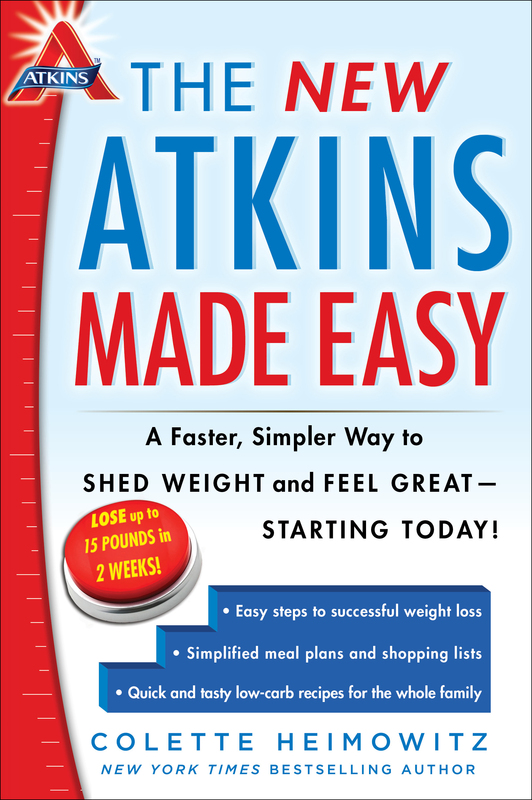 • It’s easy to stick with Atkins. The process of gradually reintroducing carbohydrate foods while continuing to shed pounds (and, later, maintaining weight loss) is the key to lasting success with Atkins. It’s why so many people consider themselves “Atkins loyalists” who have made the program part of their lifestyle. • Atkins is good for your health. Study after study shows that eating a low-carb diet improves your cholesterol profile and blood sugar levels, as well as other health markers. Following a low-carb lifestyle can also reverse metabolic syndrome and even type 2 diabetes. I spent the first ten years of my nutrition career counseling thousands of patients in doctors’ offices in the New York City area on diet and lifestyle changes. In my next twenty years as a nutritionist I’ve been employed in one capacity or another by Atkins. For five years at the Atkins Center I worked one-on-one with thousands of patients to help them slim down and deal with health problems. In the next fifteen years at Atkins Nutritionals, I’ve observed and advised many thousands of members of the Atkins Community online in their weight control efforts. I think it’s fair to say that when it comes to eating habits and weight reduction, I’ve seen and heard it all. Now I’m excited at the opportunity to be your coach as you transform yourself into the new you. And, as always, you can communicate with me through my blog on atkins.com. If you’re new to Atkins, welcome aboard. And if this is not the first time you’ve embarked on the program, I promise that you’ll find it easier than before. In either case, I’ll repeat my original promise: try Atkins and you will lose weight. All you have to lose are those pesky extra pounds. But what you have to gain is huge: for starters, a slimmer figure, renewed energy, confidence, a sense of being in control, and self-respect—and maybe even a whole new wardrobe. Plus stay with Atkins once you banish your extra pounds and you’ll enjoy permanent weight control and enhanced health. Your new way of eating will let the new you emerge! Remember, I’ll be with you every step of the way. Now turn the page and let’s get down to business. As Vice President of Nutrition & Education, Colette Heimowitz is the driving force for nutrition information at Atkins Nutritionals, Inc. She is the nutritionist face to the Atkins Community, which is dedicated to helping people reach their weight management goals. As part of this initiative, she publishes a weekly nutritionist blog, creates content devoted to educating new members about the program, and stays up to date on emerging research on human nutrition. Colette has been a guest on radio programs nationwide, as well as on television networks including CNN, Fox News Channel, and MSNBC. 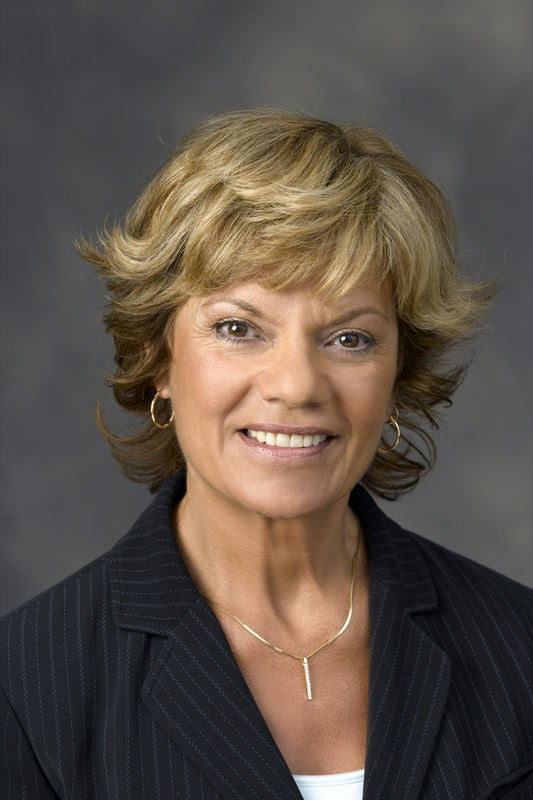 She has more than twenty-five years of experience as a nutritionist and received her MSc in clinical nutrition from Hunter College of the City University of New York.